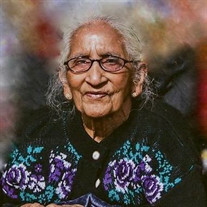 Kapilaben Patel, 81, passed away in Lake Mary, FL on August 29, 2017 at 7:00pm. She was born on November 30th 1935 in Ranu, Padra, India. The family of Kapilaben Gordhanbhai Patel created this Life Tributes page to make it easy to share your memories.